Sticking to a healthy diet while traveling can be one of the most difficult things to do in your life. However, if you learn how to make smart choices, a healthy diet is really not that difficult. 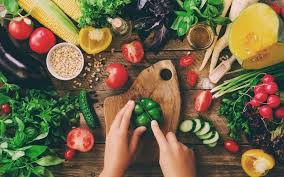 This is probably not the best time in which to start a healthy diet, but if you are currently making healthy choices in your foods already, modifying your diet slightly to accommodate travel is not as it first may seem. If you are traveling my airplane, a healthy diet may have to include airplane food, which can often be poor for your healthy, depending on the selection. When you book your flight, ask about your food options ask if a vegetarian dish is available. Vegatarian dishes are sometimes more nutritional in this case, but it really depends on what they will be serving. If you can, eat a larger meal before your flight so that you don’t have to eat the entire meal that is served to feel full. When driving or taking a bus, you may be tempted to stop at fast food restaurants and eat the foods found there. Avoid this whenever possible! If you’re on vacation, you may wish to splurge a tiny bit, but having fast food more than one during a week can really be bad for your health. If you must, choose the healthiest options available, like chicken breasts and diet soda. Also, remember that you can take your own food when traveling. Carrying a loaf of whole-wheat bread or pita wraps, some lean lunchmeat, and low-fat cheese in a cooler is a great way to avoid high-fat and high-cholesterol junk food meals. These are much better choices and you’ll save a lot of money as well. Call ahead to ask if there will be a refrigerator in your hotel room. Lastly, make smart choices when you eat out. If you choose salads or pasta get the dressing on the side and ask about low-carb options. In fact, many places print these dieting options directly in the menu for the health-conscious people. Control your portions by ordering lunch menu sizes or splitting the meal in have and getting a doggie bag, and you’ll be well on your way to healthy eating, even away from home. Yes, eating healthy foods when you travel can be a challenge. However, your health is worth it. When you eat good foods, you will also fight illnesses that you are likely to encounter when traveling and be more alert so that you can enjoy your trip. 0 Response to "A Healthy Diet while Traveling"